Artificial Intelligence (AI) sounds intimidating, I’ll admit. 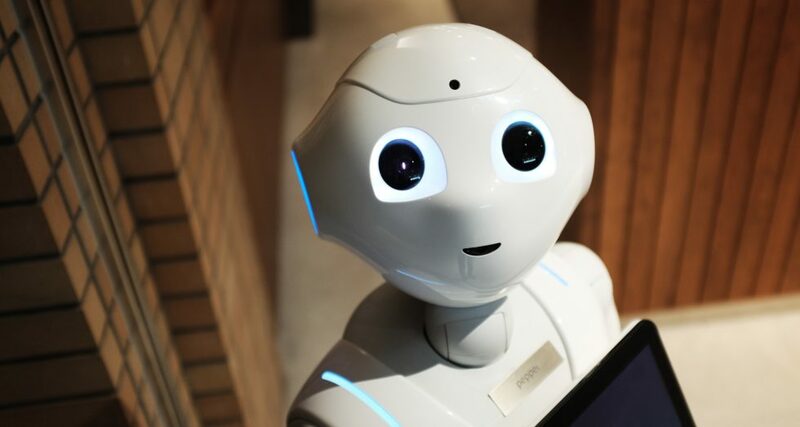 Whether it’s the fear of the unknown or overall lack of understanding, people often have varying opinions of AI that are best summarized in one way: awesome but scary. Exactly how scary is it? Many of us use AI on a daily basis without even realizing it. Take Amazon’s Alexa, Apple’s Siri and Samsung’s Bixby as examples. These voice-enabled bots have made it into our homes, phones and lives. Just by talking, we can ask these bots to play music, make telephone calls and even order our groceries for us. With all things in life, there are advantages and drawbacks of AI. While there is speculation that Alexa, Siri and Bixby are always listening to us even when we don’t want them to be, they do make our lives much easier. AI has already made its way into our personal lives, and it’s beginning to infiltrate numerous professional industries worldwide as well. AI has secured its spot within the retail and e-commerce industries, including Amazon and China’s Alibaba and JD.com, and it’s beginning to appear in banking and in healthcare. What about AI in the PR industry? It’s coming, and it’ll be here sooner than you think. AI may seem daunting to the average PR professional, but don’t fret. AI will not take away jobs in the PR and communications industries; it will only make them easier. AI machines will complete monotonous tasks, such as filtering through data and providing us with any needed results. Perhaps in the future, we can leave it to AI devices to research a list of potential media outlets for pitches in order to generate press coverage, or AI bots can compile coverage reports based on the media coverage. Instead of manually posting to event calendars, we can rely on a machine to do it. AI may also be able to inform us of the best social media strategies to utilize on an individual client basis based on aggregating data regarding levels of engagement. The PR industry should welcome AI with arms wide open. It will save time, but these robotic devices may take awhile to perfect. The algorithms will likely not be error-free from the start and may make mistakes. PR professionals will always need to double check the work done by AI machines. So, what is the perfect mix? AI will be helpful, and it will streamline several processes within the industry. It is possible that in a few short years PR professionals will be working in collaboration with AI, especially in large companies. It may take a few more years for AI bots to become implemented into small scale agencies, however. At the end of the day, we are people convincing people to explore our creative solutions with us. AI can’t do it all; human intuition and creativity are still essential components in the work in which that we specialize. PR requires hefty creativity, strategy and ingenuity as well as intuition to assess and create the delicate strategies to address pertinent issues. AI will never have the “gut feeling” through its numbers and algorithms that a seasoned PR professional provides. Written by Clairemont Intern Anna Ostrowski, a senior at UNC.